The European Tour has officially finished for the year with only the European Championship, the showpiece event still to come. This means that the statistics tables have been finalised. Michael van Gerwen as expected led most of the tables with him claiming best total averages, total 180’s and 100+ checkouts. 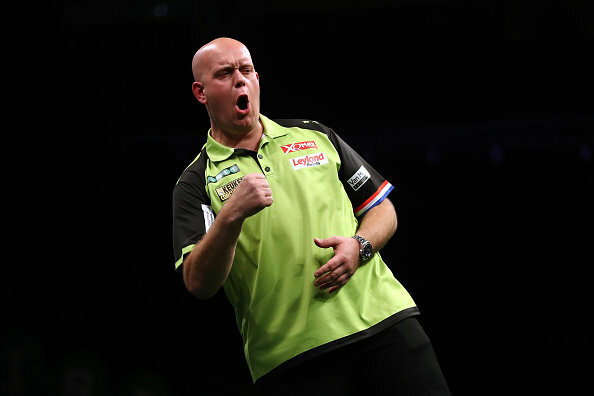 Starting with averages, MVG had the only total over 100 with 101.56 which was increased by 0.50 after the final event. In terms of 180’s he dwarfed the competition with 145 compared to the second highest at 89. Kim Huybrechts led the checkout percentages with 48.5% compared to Ryan Searle in second with 47.7%. 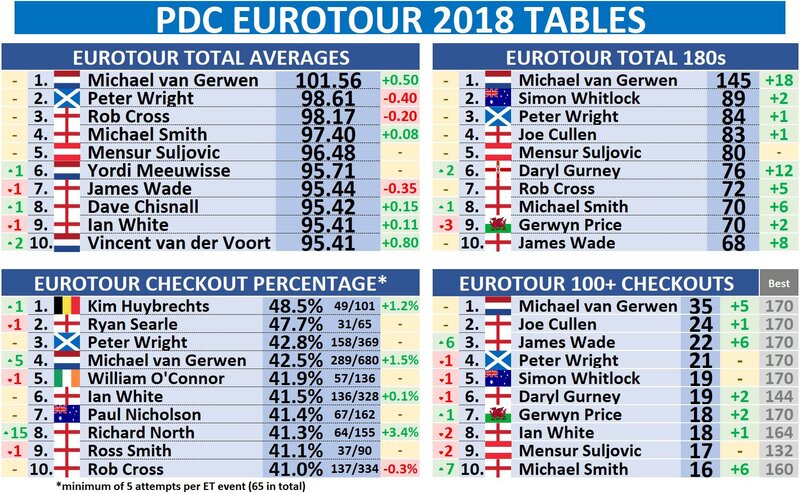 Finally Van Gerwen was first in the 100+ checkouts with 35 ahead of Joe Cullen in second with 24. James Wade was third with 22 and Peter Wright was fourth with 21.